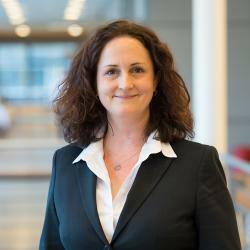 Kathrin Valder is the Programme Director for the Master of International Business. Here it is – you have been invited to an admissions interview for the Master of International Business at Frankfurt School. Congratulations! In the following I would like to give you an insight on what to expect and how to prepare. The good news first – we invited you because your application so far was promising. We checked your grades, your international experience, your English test and the GMAT or GRE results (if applicable). The last step between you and admission is the interview. So what do we want to find out in the interview that we do not see in your application documents? Our Master of International Business usually has small study groups between 30 to 40 students and teamwork is the norm. Therefore, we are looking for students who embrace this idea and are not scared by working with peers from all over the world. The purpose of the interview is to gain a better understanding of your character, personality, expectations, motivations and goals. Is the programme the right choice for the applicant? Will the applicant fit into the programme? Make sure you are able to conduct the interview without any disturbances, switch off your phone, have sufficient time etc. And most important – be yourself! As described above we would like to get to know you as a person. Don’t try to be someone else. With good preparation and the tips above, you can sit back, relax and enjoy the interview.